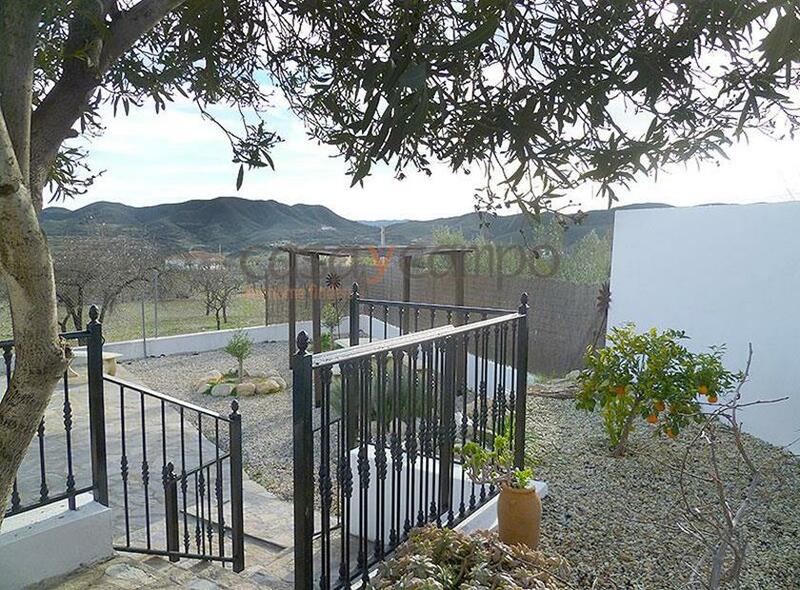 This fabulous property is being offered in impeccable order on a good sized private plot of which is completely fenced and walled. 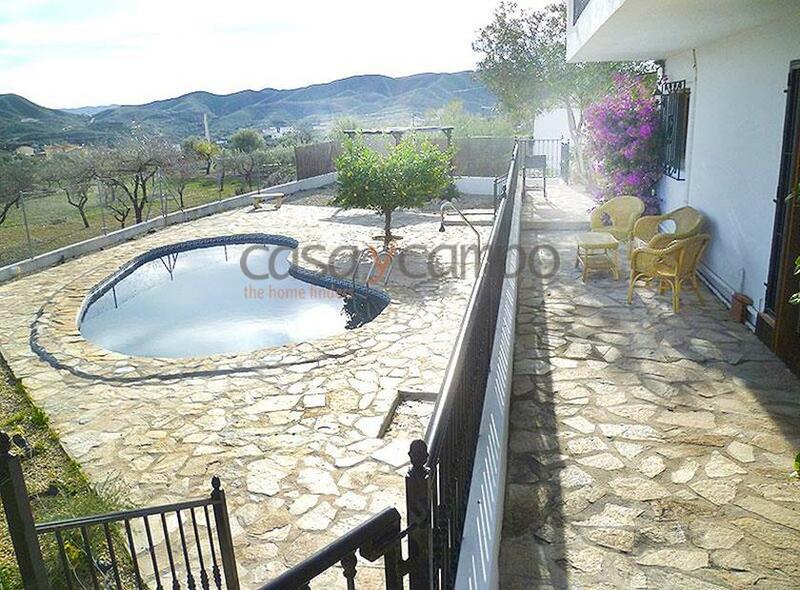 Two terrace areas the lower which has a freeform 8 x 4m swimming pool, the upper terrace over-looks the pool and surrounding countryside with distant mountain views. 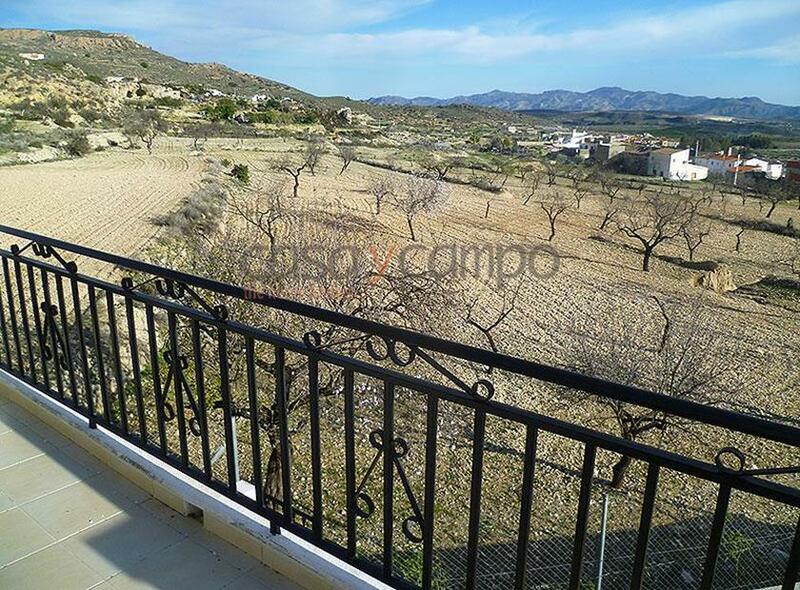 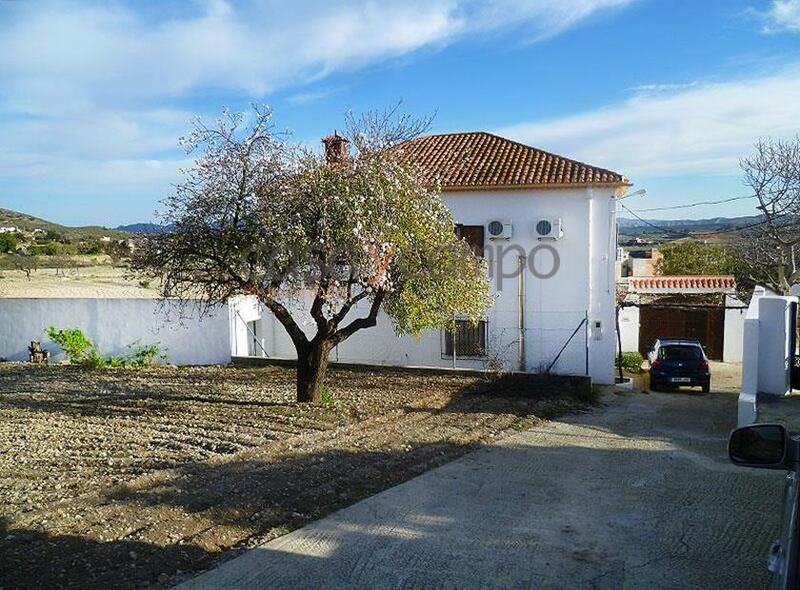 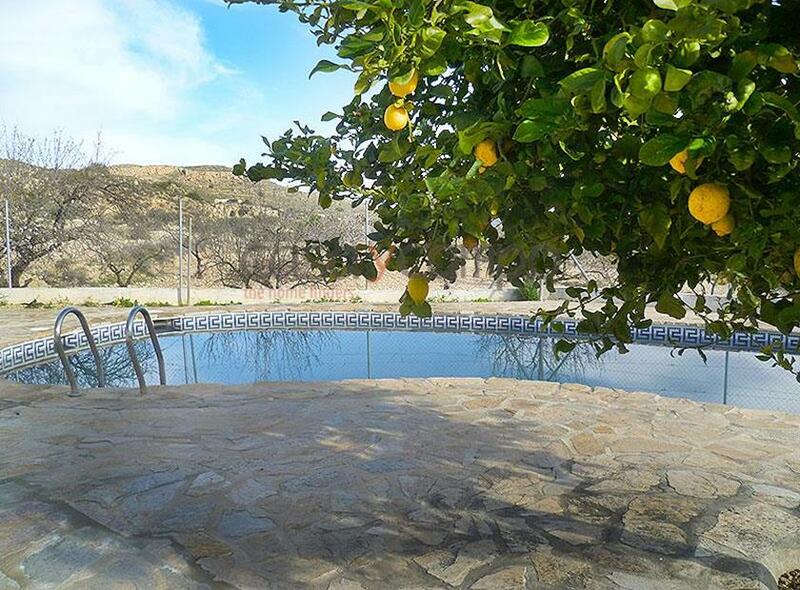 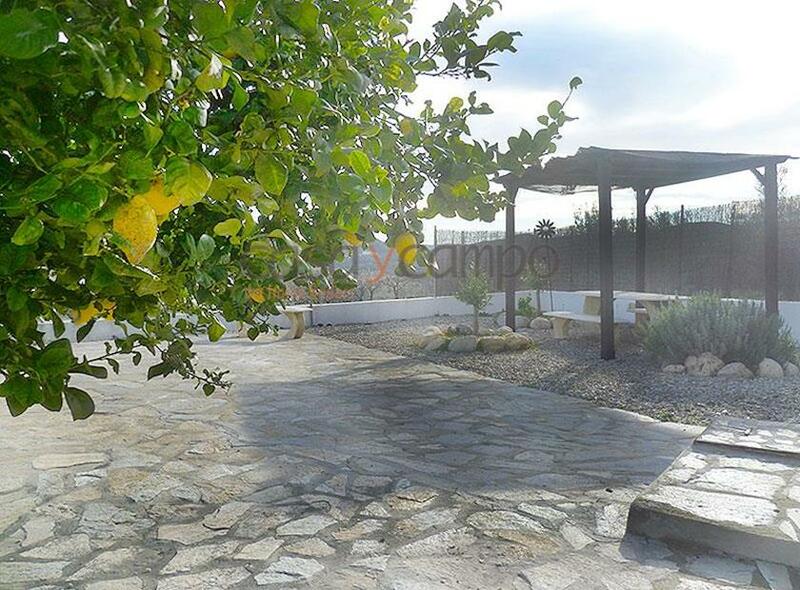 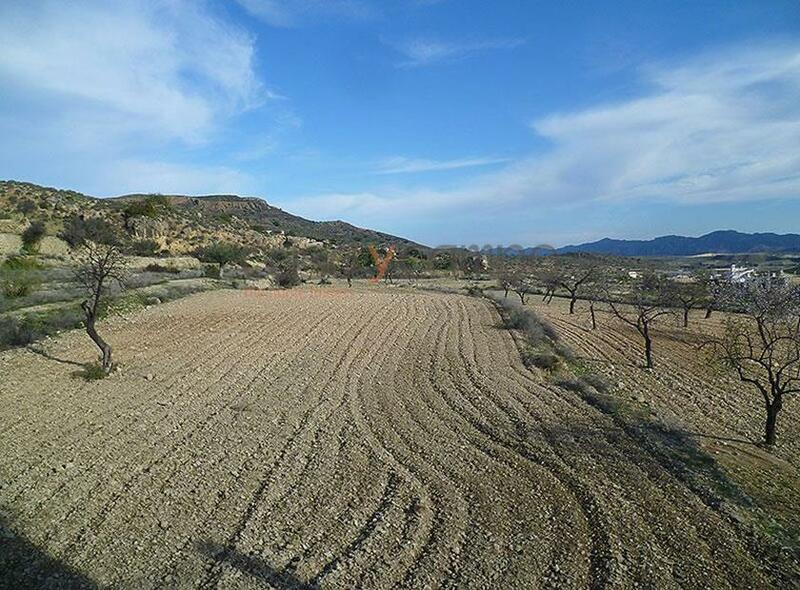 There is an additional plot of land to the rear of the property which is planted with almond trees. 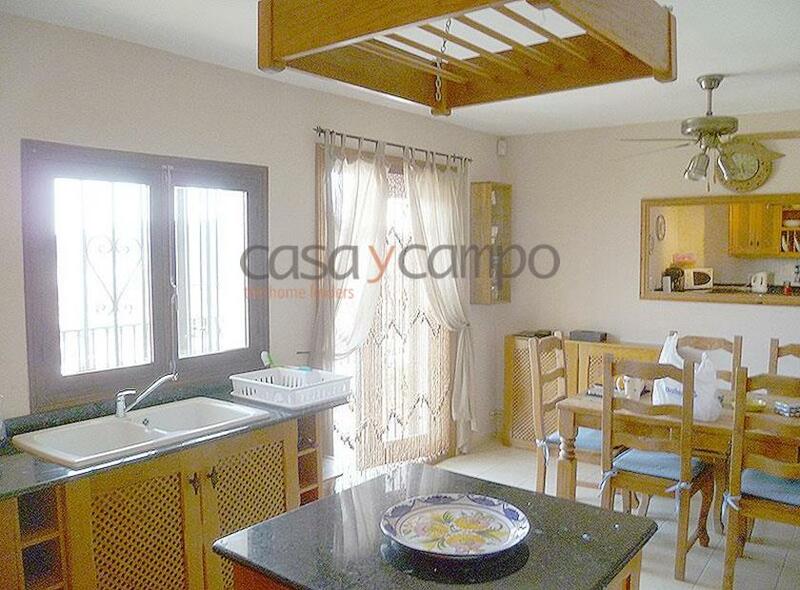 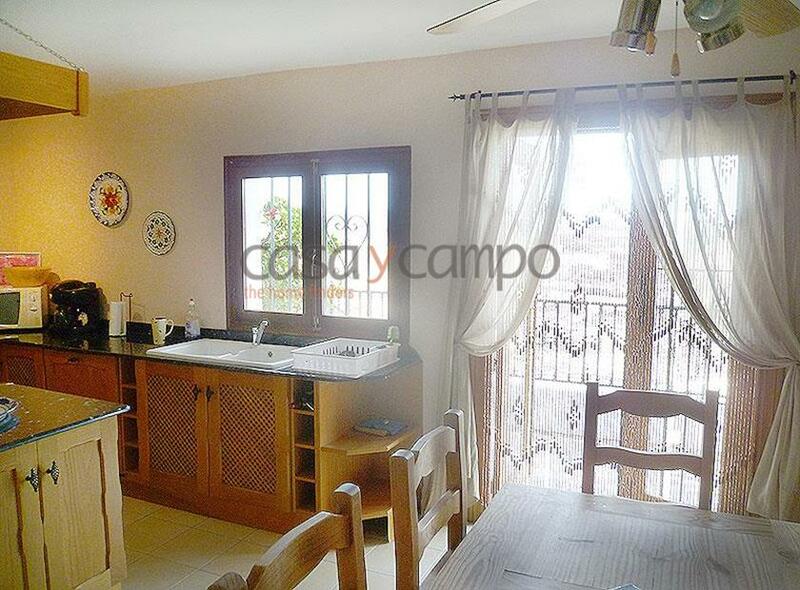 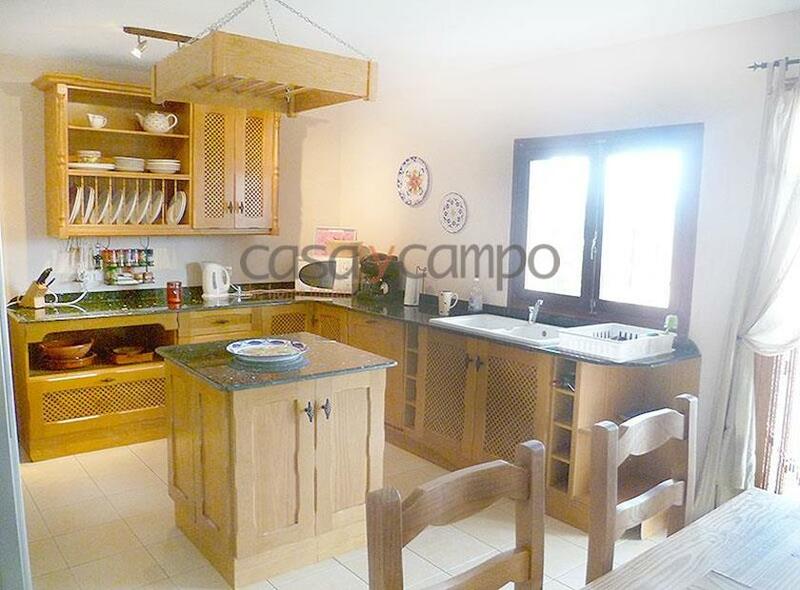 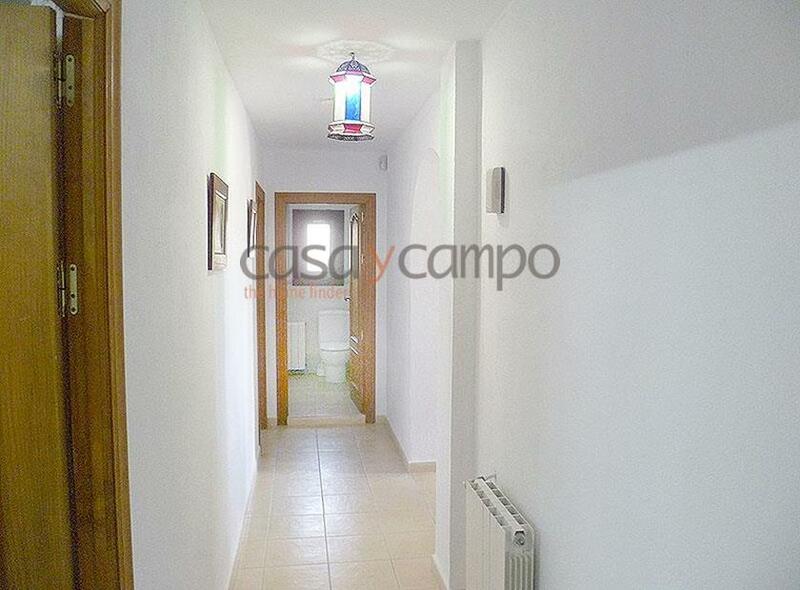 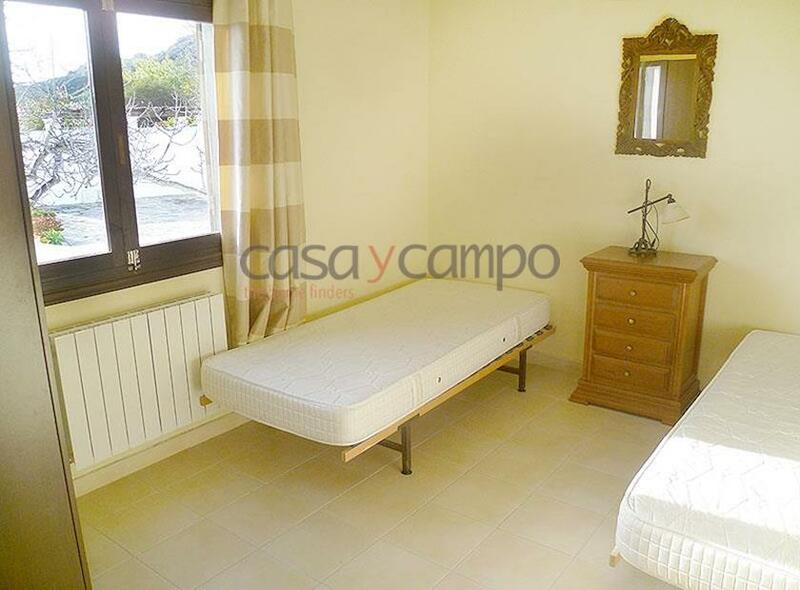 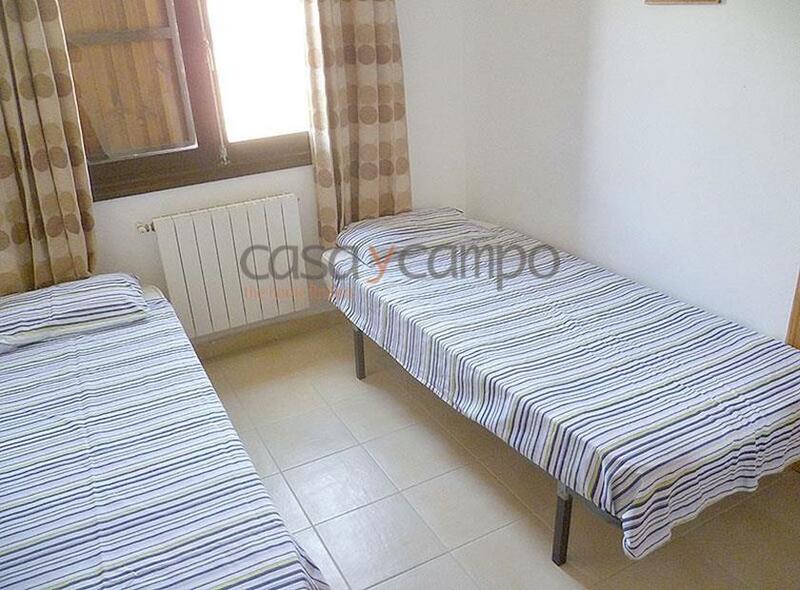 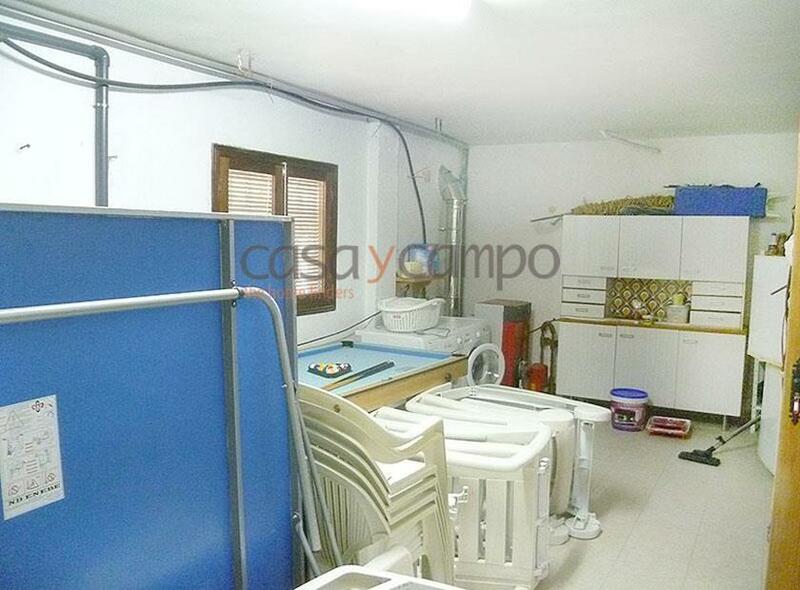 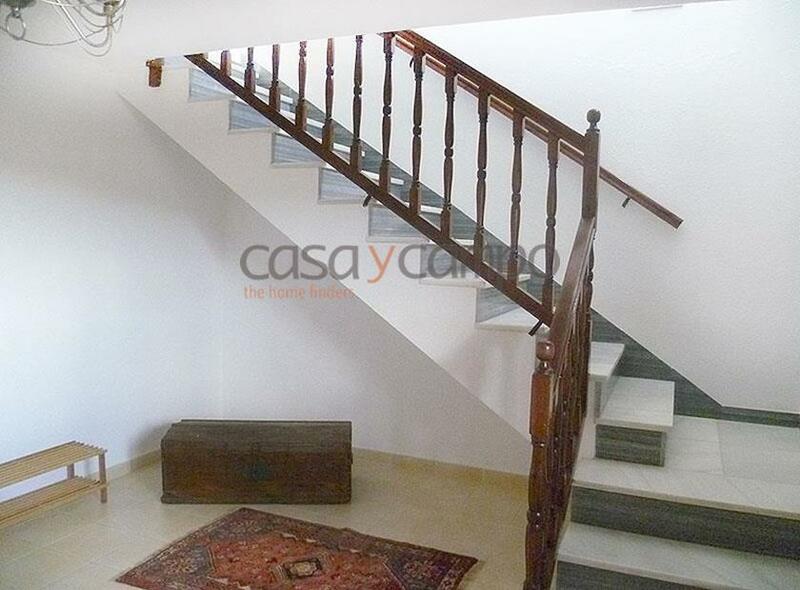 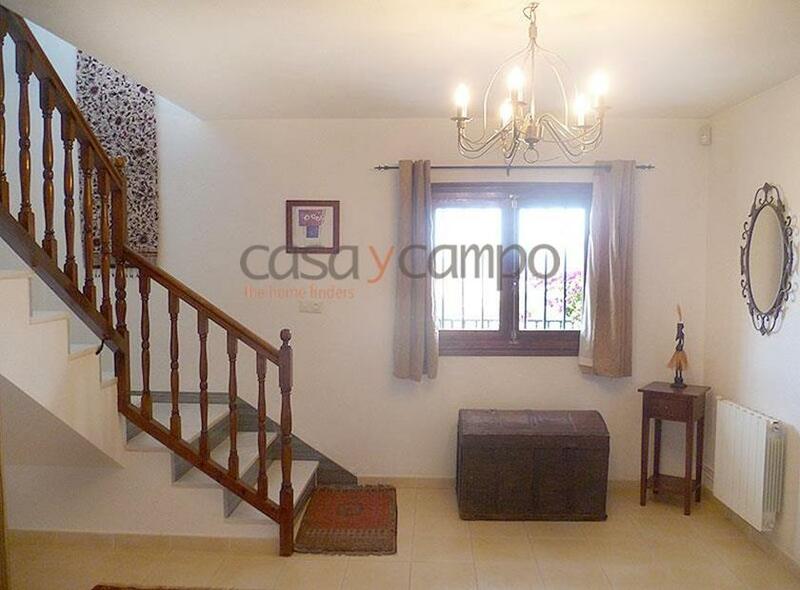 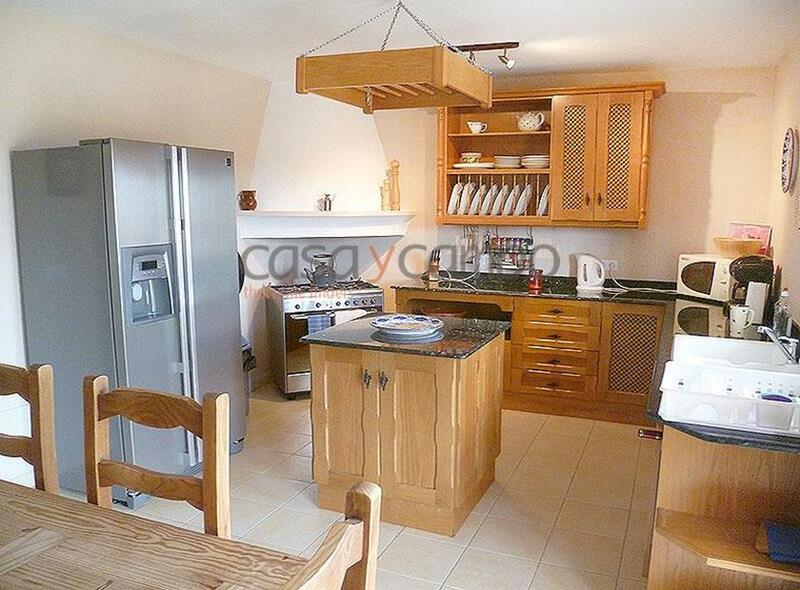 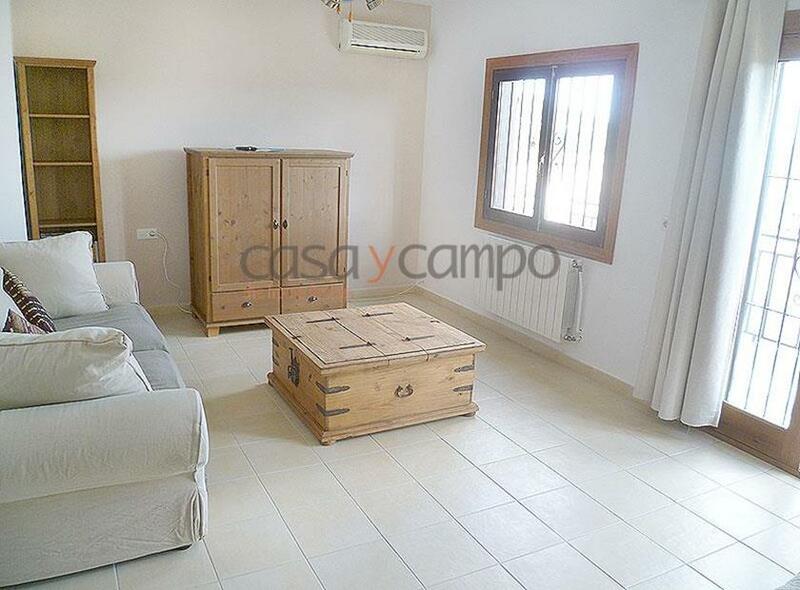 The property is being offered fully furnished and is well designed and spacious. 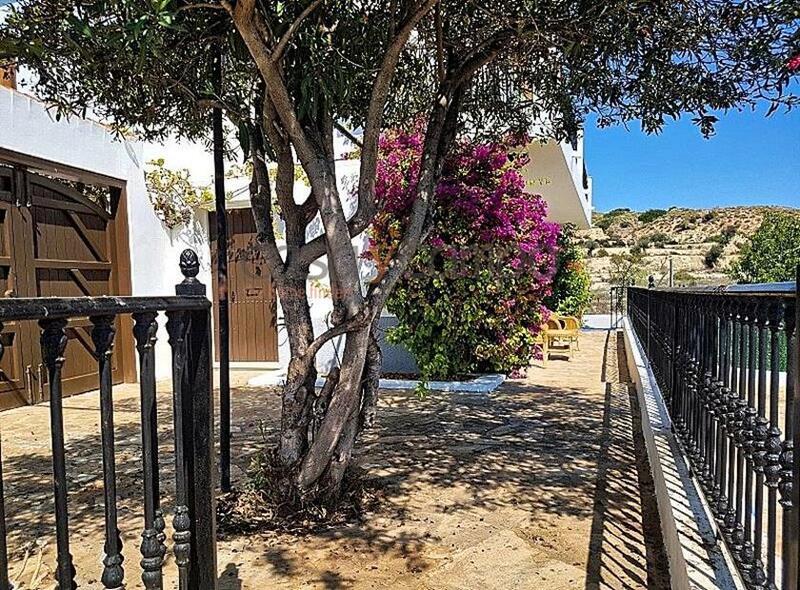 Enter the property into a spacious entrance hall via beautiful bespoke feature double wooden doors, marble stairs lead up to the upper floor. 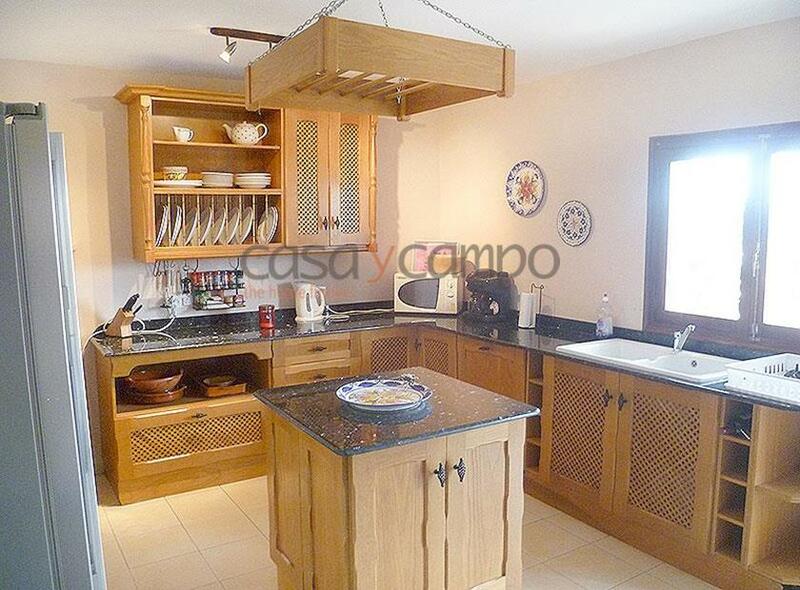 The ground level has the kitchen, a beautiful quality Spanish, wooden style, with in-built appliances and ample space for the dining table. 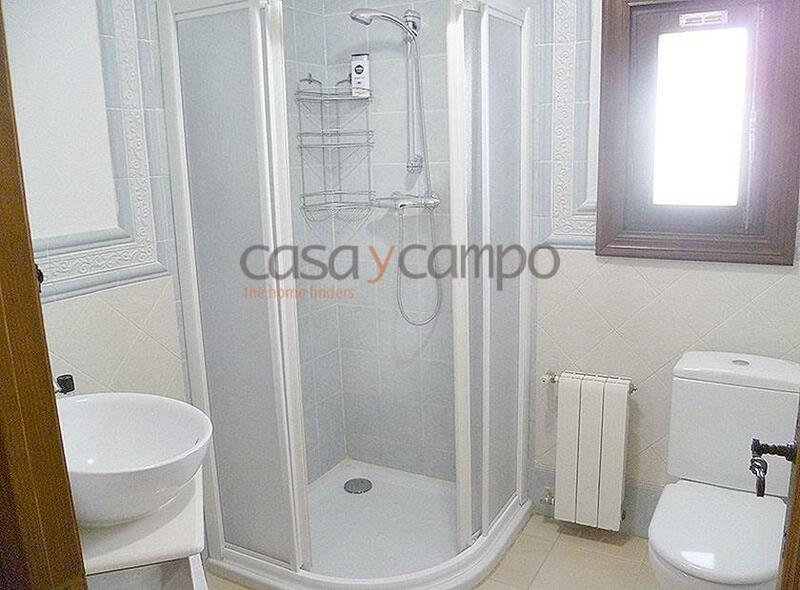 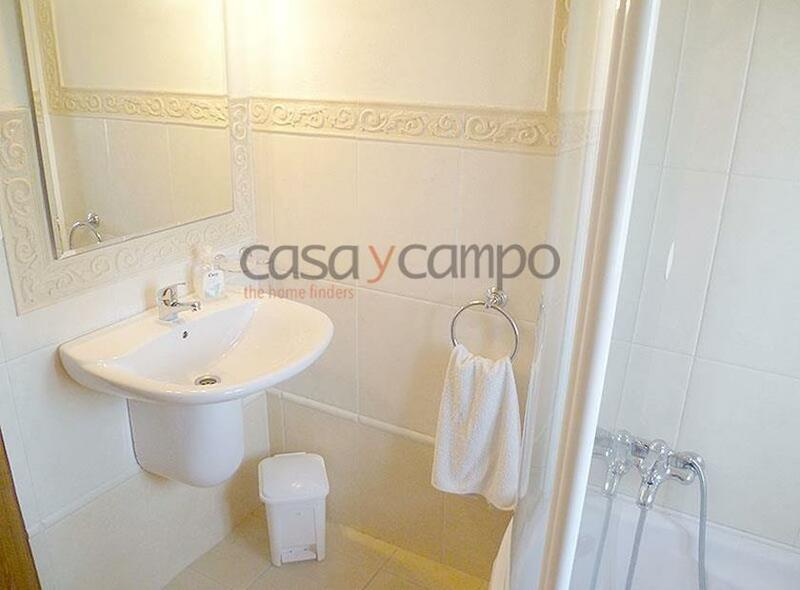 A family bathroom, a double bedroom, a lockable door to access the garage area. 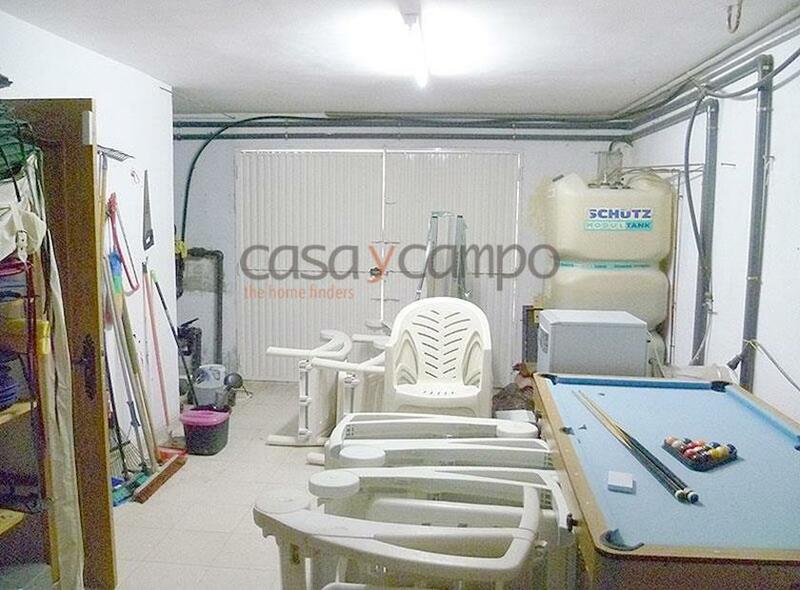 The garage houses the equipment for the diesel storage tank, plus pool pump equipment, including pool heater, an ideal place for general household storage. 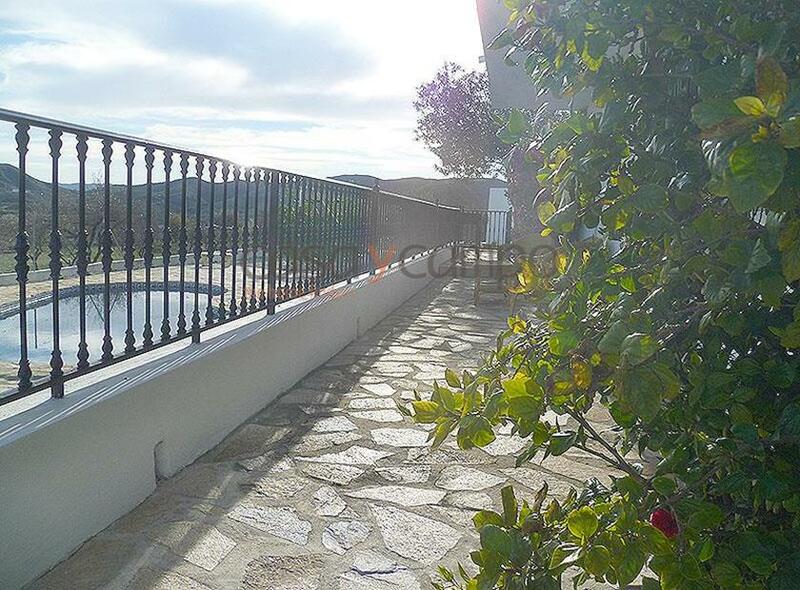 The kitchen door leads out to the upper terrace which enjoys beautiful views and overlooks the freeform pool and lower terrace. 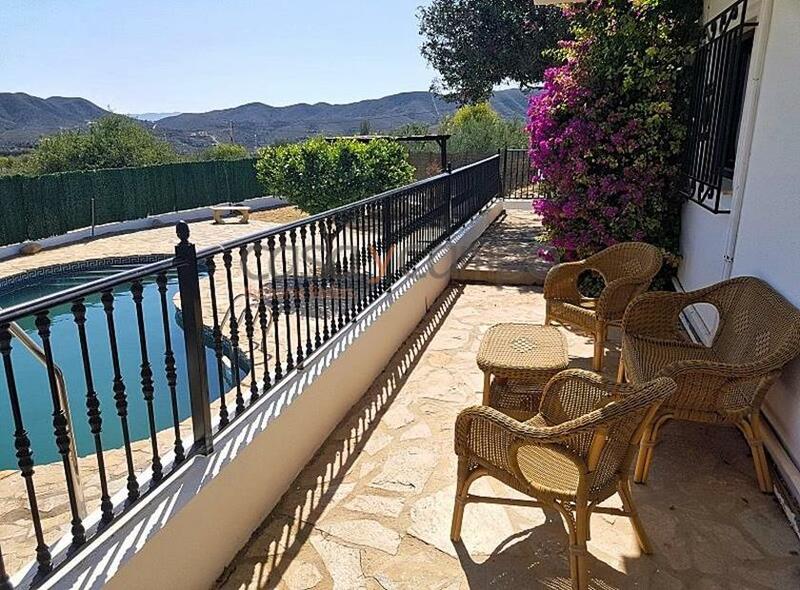 To the first floor there is a large sitting room with a balcony terrace which offers views over the pool terrace and country scenery beyond. 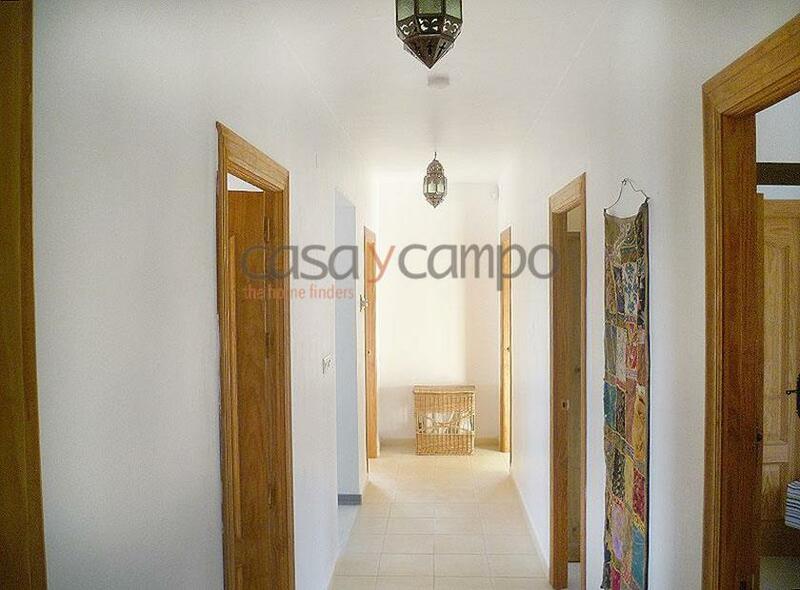 A master bedroom with small dressing room/wardrobe, 3 further double bedrooms and a family bathroom with bath. 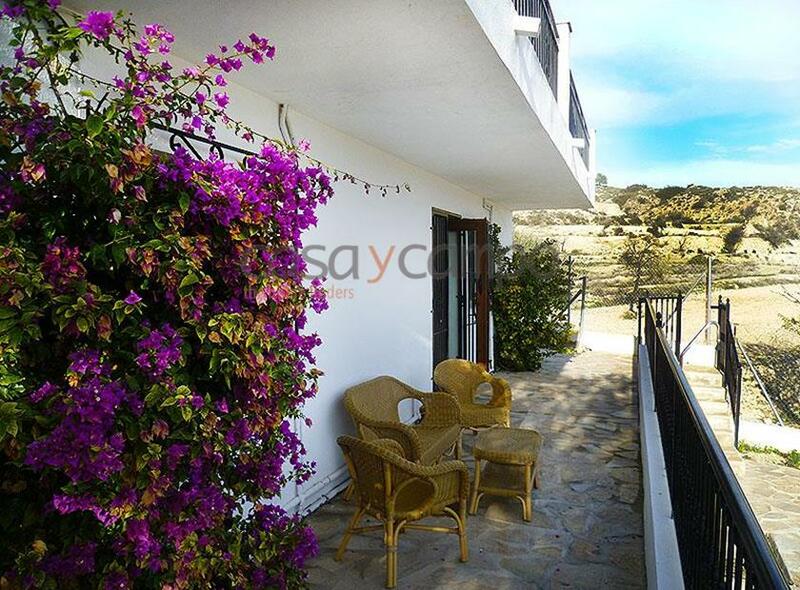 Aircon throughout, central heating, ceiling fans, rejas, off-street parking, connected to water and electricity, wifi, satellite tv. 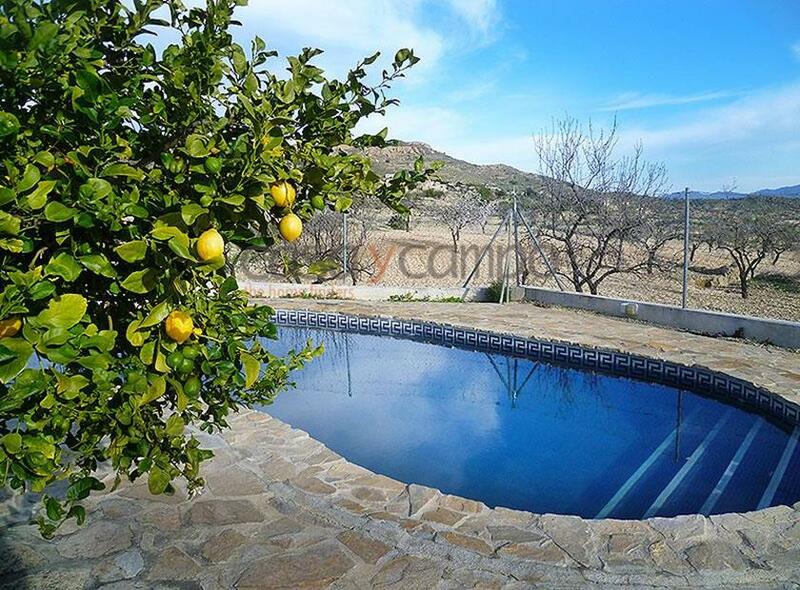 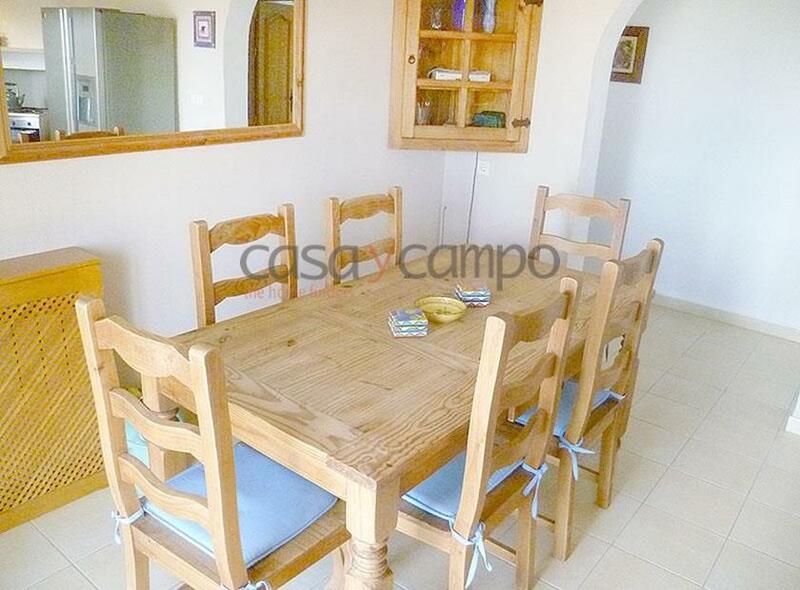 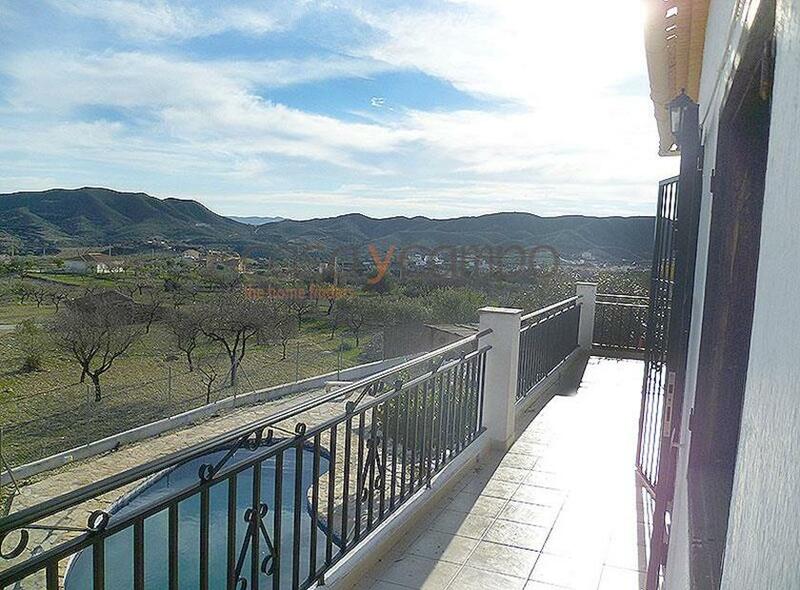 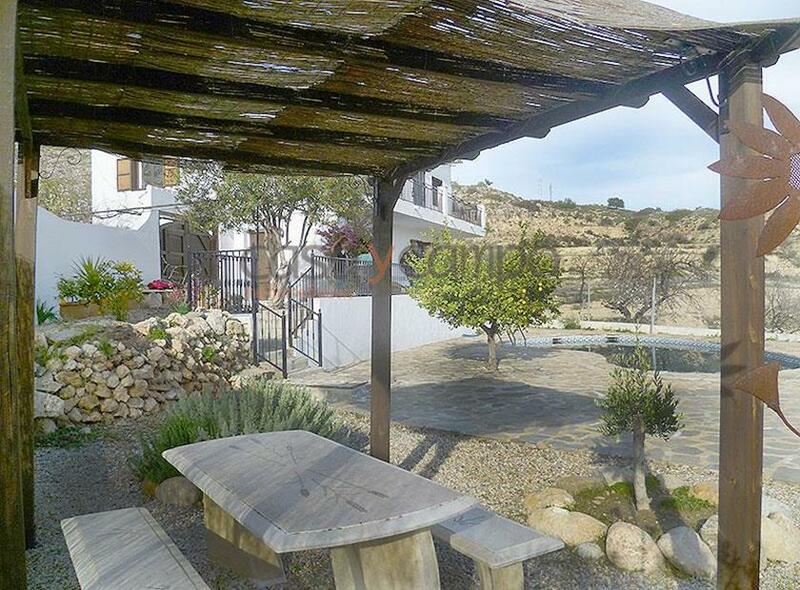 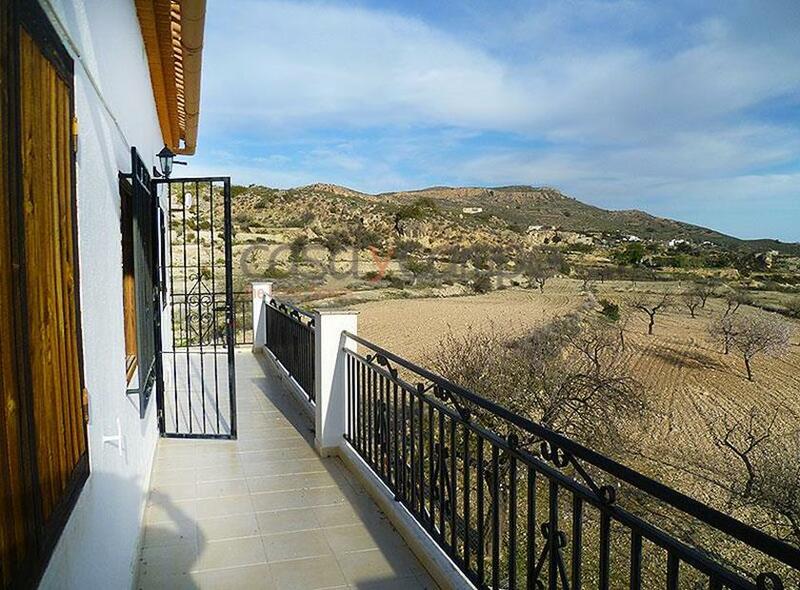 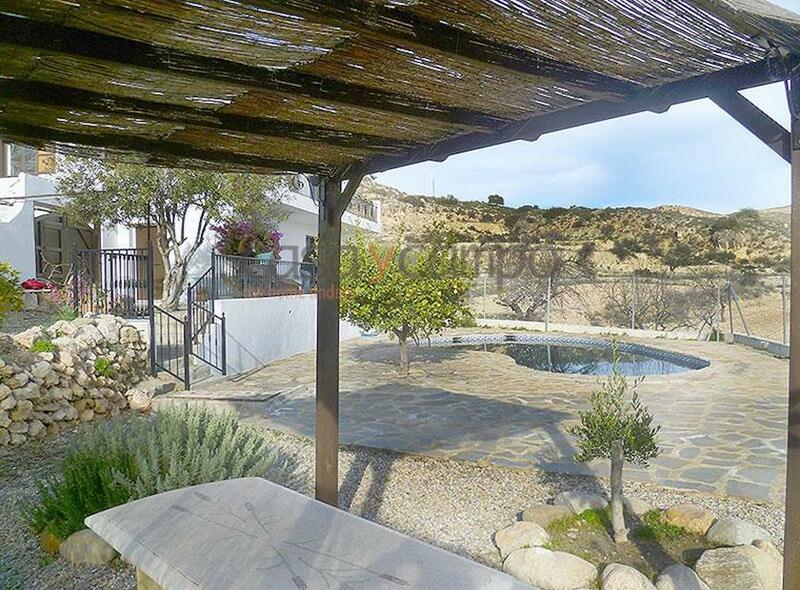 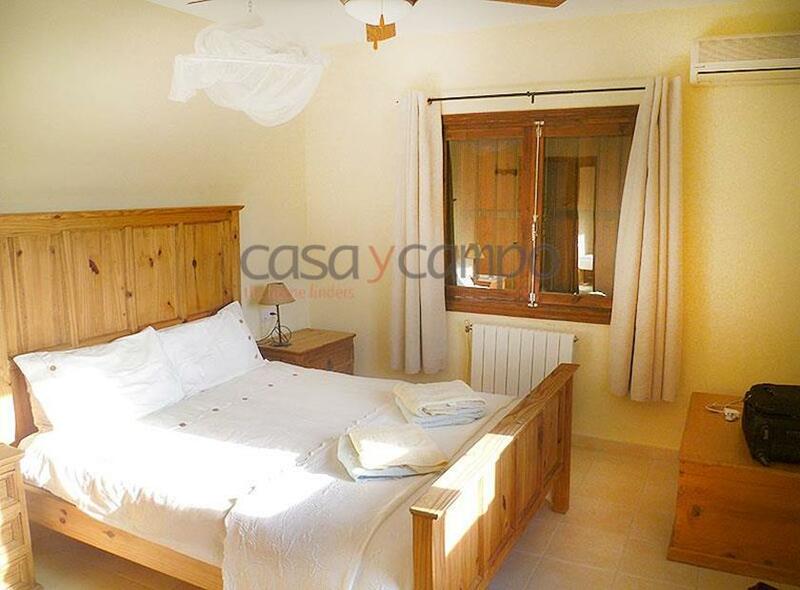 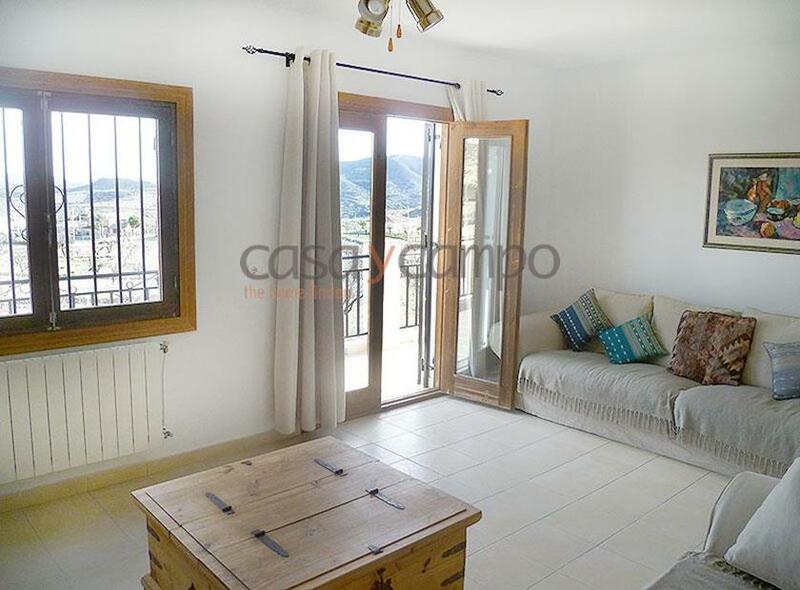 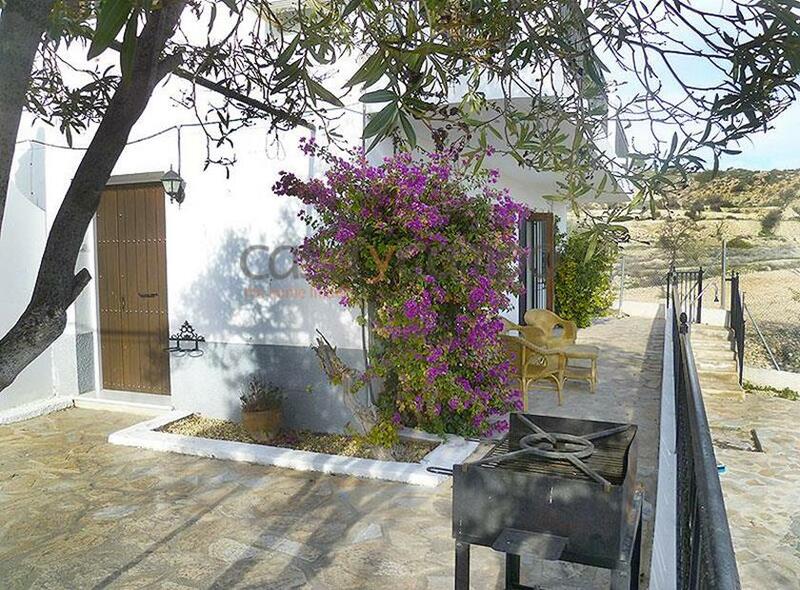 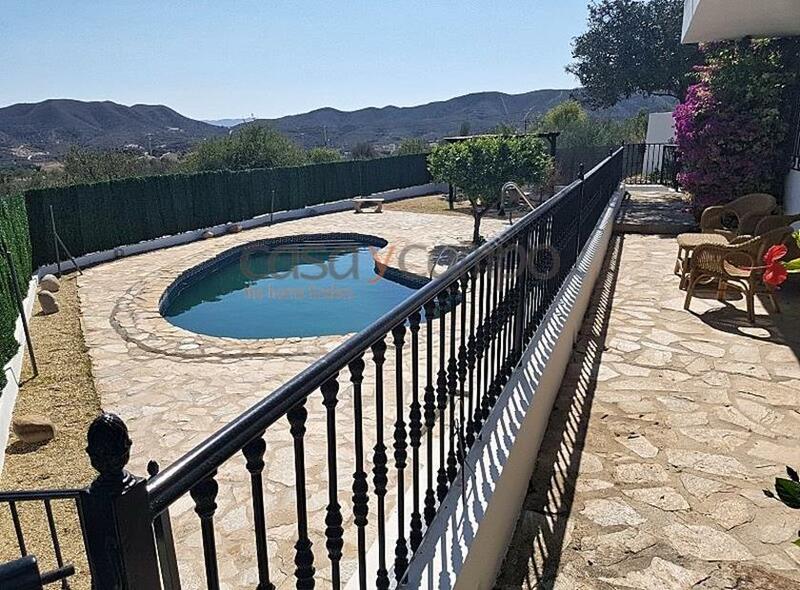 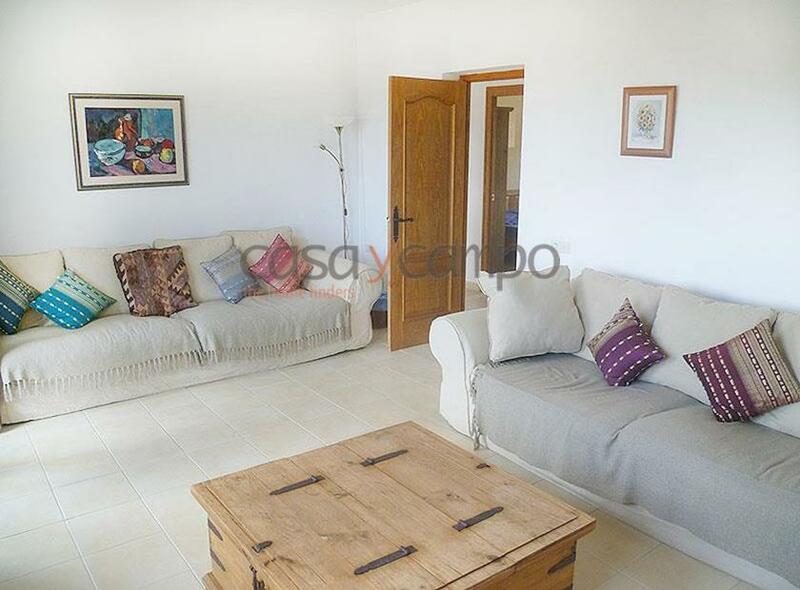 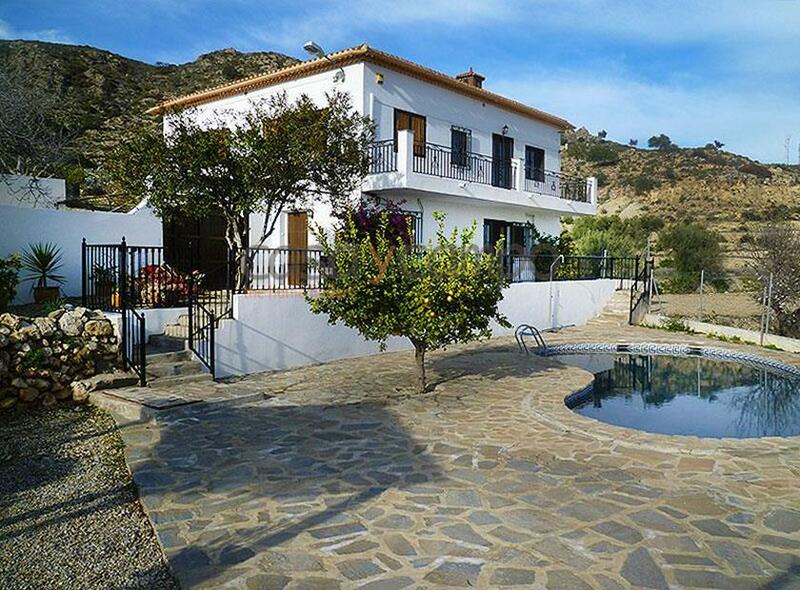 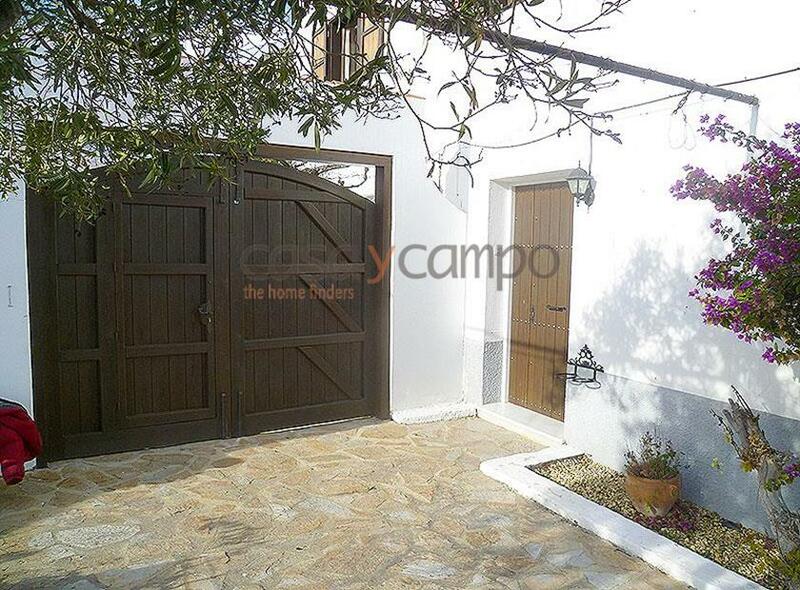 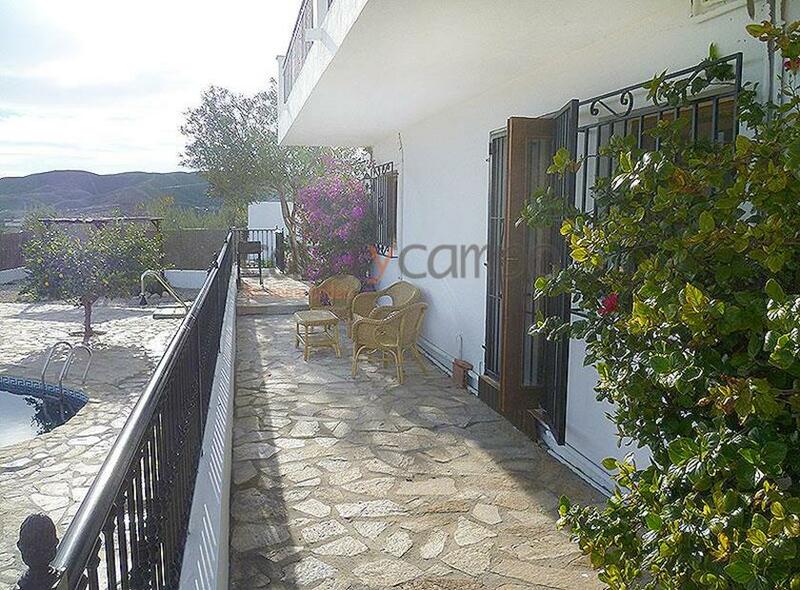 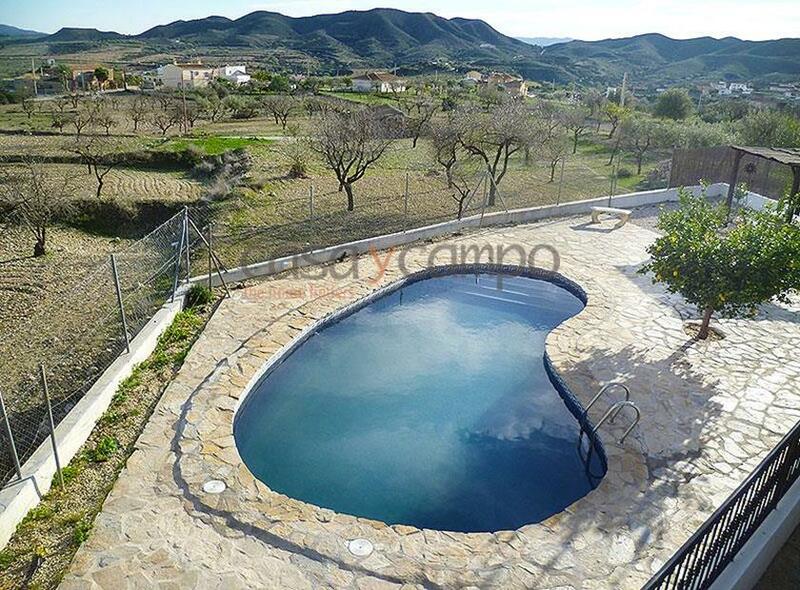 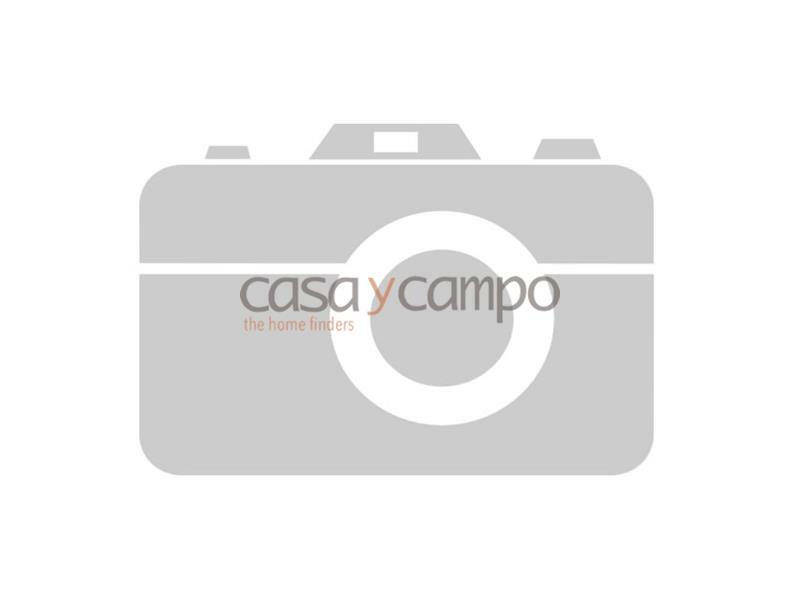 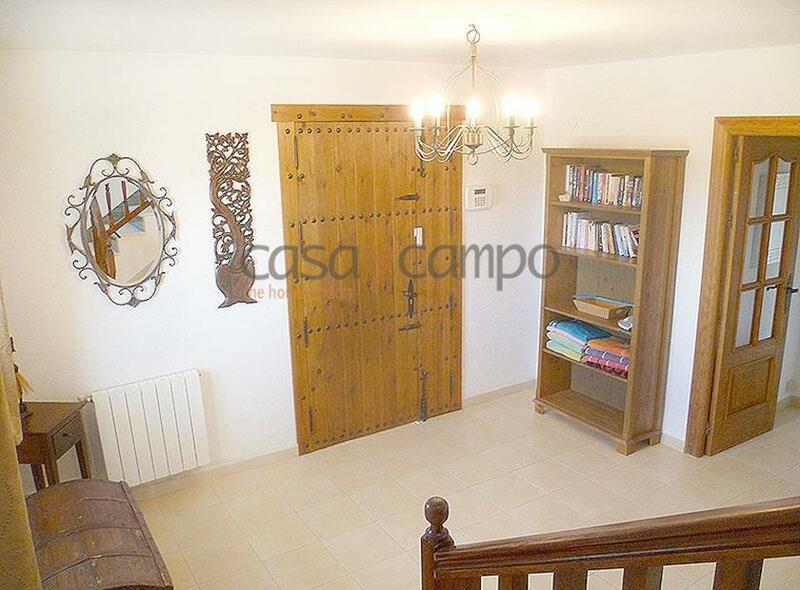 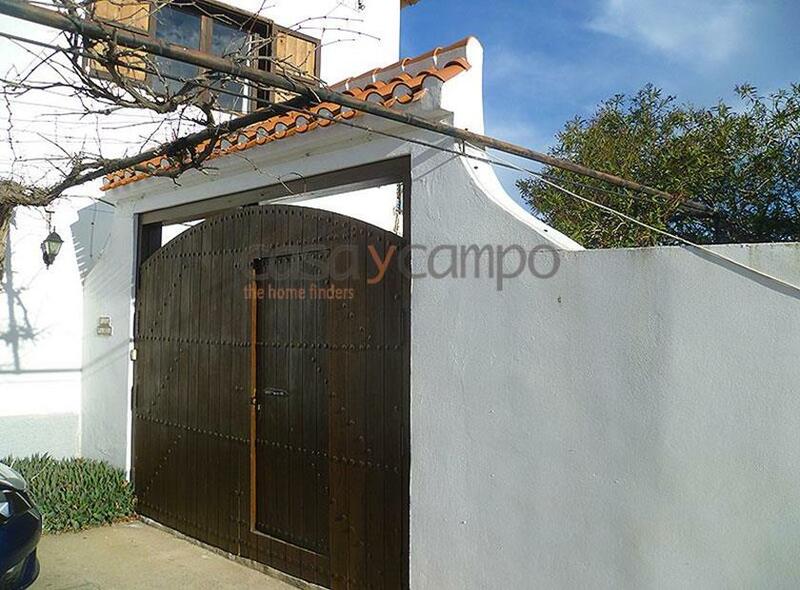 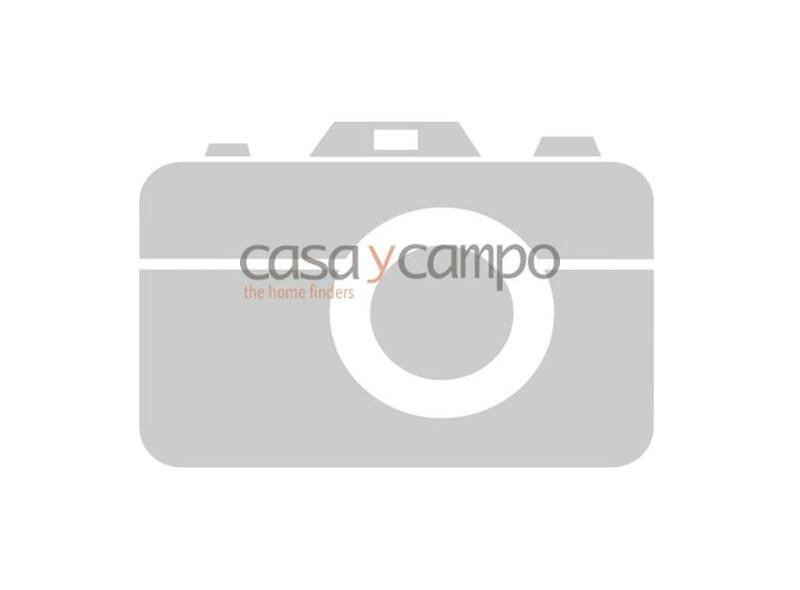 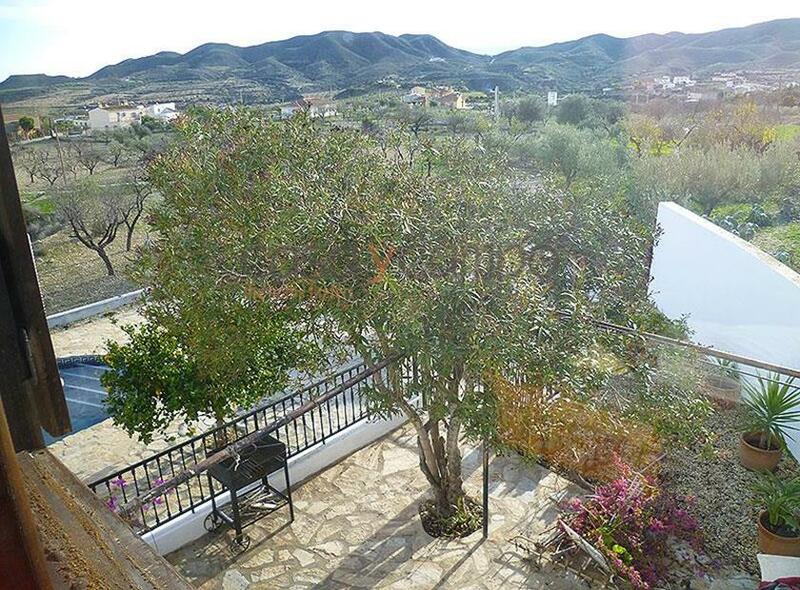 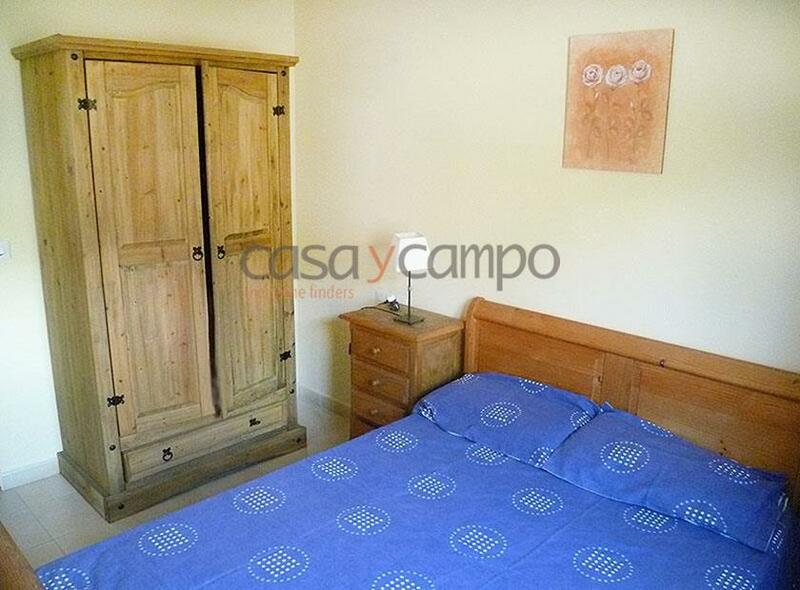 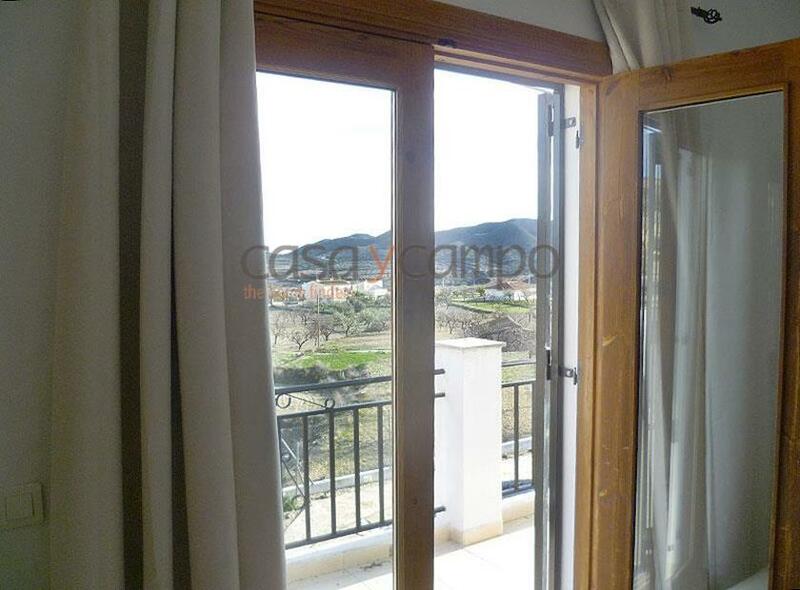 A perfect turn-key property which is rented as holiday lets, well priced and situated with good access to the coastal areas, being a 25 minute drive to the beaches of Mojacar.